I'm delighted to be part of another group exhibition at Megalo Print Studio & Gallery amongst an amazing line-up of artists including Tony Ameneiro, Rick Amor, Sue Anderson, Eolo Paul Bottaro, Dean Bowen, Godwin Bradbeer, John Coburn, David Frazer, Kaye Green, Robert Hague, Kristin Headlam, Euan Heng, Locust Jones, Daniel Moynihan, James Pasakos, Jim Pavlidis, Geoffrey Ricardo, Louise Tomlinson and Wayne Viney. 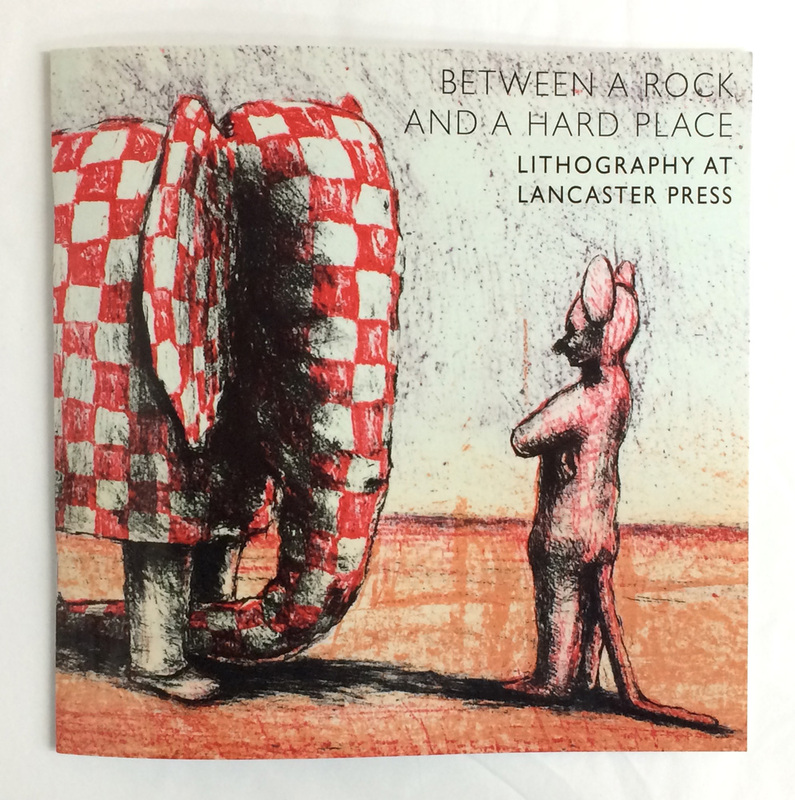 Between a Rock and a Hard Place showcases the incredible quality and variety of Peter Lancaster's work as a Master Lithographer, collaborating with countless artists at Lancaster Press in Melbourne. The exhibition is accompanied by a catalogue designed by Jim Pavlidis, which features a detail from The Nuptialists by Geoffrey Ricardo on the front cover and a detail from my lithograph Ravine on the back. Between a Rock and a Hard Place is now on display at Megalo Print Studio (21 Wentworth Ave, Kingston, ACT) and runs until Saturday 28th May (Gallery hours: Tuesday to Saturday 9.30am - 5pm). Please join us for a drink to celebrate the official opening of the exhibition on Thursday 12th May from 6pm!